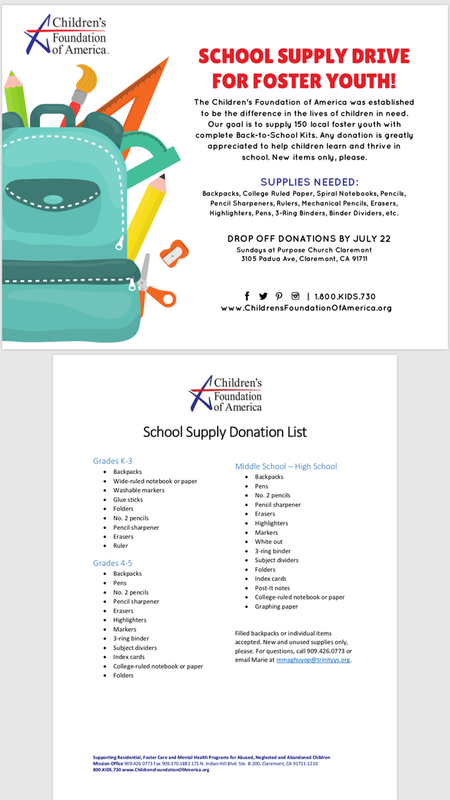 We have extended the Back-to-School drive another week! Help us be the hands and feet of Jesus in this community by blessing local foster youth with brand NEW backpacks and school supplies. Items you can bring are listed below.